PLAN 3339 - Jimmy Henderson Construction Company, Inc. The SAVOIE PLAN!! A spectacular stucco home accented with stacked stone and a side-entry garage. 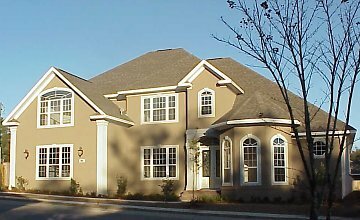 Originally our 2005 Parade of Homes entry plan in Bridgeport Colony, we enhanced & enlarged this plan exactly where it needed more space. With the exception of the bedrooms/closets and 2nd-floor hallway, this home is completely tiled, partially laid on the square and partially on the diagonal with cut border tile for separation. The staircase is magnificent with a large hardwood landing base, oak treads, ceramic tile risers and twisted-iron spindles. Tapered round columns encompass the dining and living room. The large dining room offers a trey ceiling, the living room has a double-trey ceiling and a natural-gas fireplace built into a gorgeous entertainment center. The grand room is to die for! State-of-the-art chef's dream kitchen with raised-panel cherry-wood cabinetry packed with features like trash-can pull-out, drawer stacks, rope-style crown molding, 42-inch upper cabinets, a decorator hood and recessed spice niche above the down-draft cooktop, top-of-the line stainless-steel Kenmore appliances. This kitchen has both a serving island with raised bar for casual eating and a work island central to all areas. A large pantry closet is adjacent to the kitchen, an octagon-shaped nook provides pizzazz and the family room hosts a second natural-gas fireplace with space for your flat-screen television above. French doors (with internal mini-blinds) open to both the grilling porch and separate entertaining lanai. 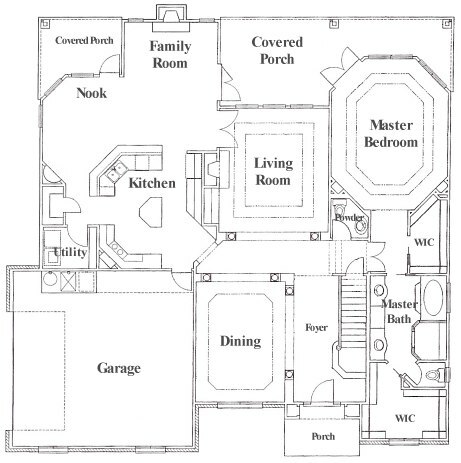 The master suite would be welcomed as a feature in Home and Gardens with a spacious octagon shape, double French doors to the lanai, twin recessed niches, double-trey ceiling with crown molding, hidden lighting and two BIG walk-in closets. An 11' vanity with two sinks, a sit-down make-up vanity, 6' whirlpool garden tub, walk-in shower with twin shower heads and a private water closet makes this a truly fantastic suite! 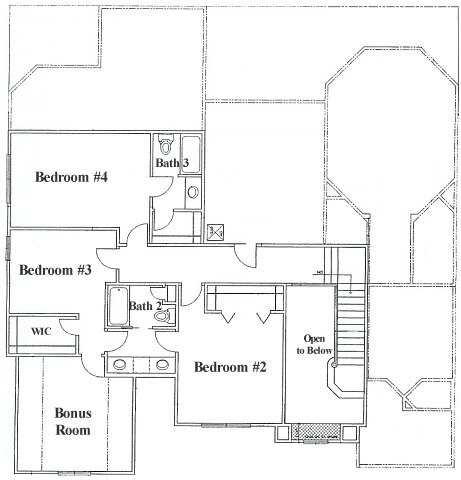 The second level has three bedrooms...two share a pass-through bath, the other a private bath...plus a bonus room, perfect for a den, study or additional sleeping space. Each bedroom offers a walk-in closet! The long list of additional features include a full sound system, central vacuum with two vac pans, satin-nickel finish door hardwood, HVAC systems with 13-SEER rating to service each floor, lots of crown molding, trey ceiling and niche treatments, walk-in attic storage, kitchen cabinet lighting, energy-efficient 650-Series windows, beveled-frame master bath mirror, and a full landscape package that includes well, lawn pump, timed irrigation system and landscape accent lights.